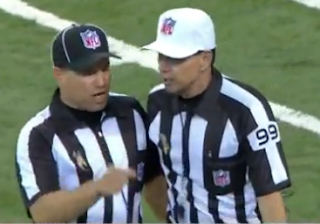 Did a referee swear on the air yesterday in Indianapolis? It was not a great day for referees yesterday and it was signified by Tony Corrente discussing something with a fellow referee and using profanity while his mic was hot. Let's go to the videotape. I will say this, Kevin Harlan's response was hilarious.